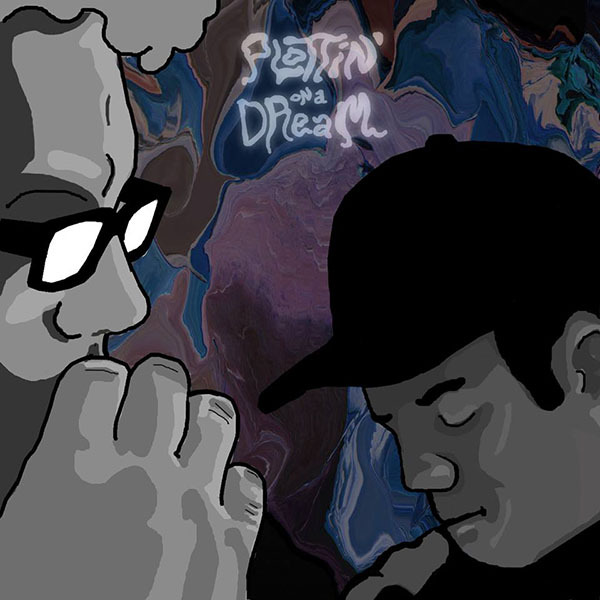 Fredd C is an emcee out of Kentucky and he’s just released his album “PLoTTiN oN a DReaM” with producer Corey D. The two have been collaborating and sharpening their skills together for a couple years now. I’m not going to front I didn’t know what to expect but these two clearly have an undeniable chemistry. And that chemistry plays out in a number of ways through a number of sounds in “PLoTTiN oN a DReaM”. Let’s jump in. Fredd C and Corey D both are artists that can attack songs and ideas from different angles. While there is an underlying consistent sound that Corey D provides, every single track is different and has a different vibe. For example the opening track “L I V E w i th it” is more of an underground cut on some dungeon type stuff. It serves as a proper introduction to Fredd C who’s plagued by life’s issues but is still out to get his. A couple tracks down the road though on “Straight Up” and “Too Legit” we’re getting more downtempo music and a slower cadence and flow from Fredd C. Corey D’s beats compliment Fredd perfectly and his chameleon like abilities shine on every single track on this album. Furthermore, the duo has the backing of Kentucky artists Devine Carama, Sheisty Khrist, GoodVibeZ and Jay Elly the four of them deliver, but the duo isn’t dependent on these collaborations to get the job done. Fredd & Corey come out like pros on this album and show how much potential they have together. “PLoTTiN oN a DReaM” I feel is only the beginning, the album is short, sweet and to the point while remaining undeniably potent. You can stream the album below and keep it locked here as I’ll be interviewing the duo soon. 1. Reggie (Intro) 2. That’s Where I B f. DJ Kool 3. Def Jammable 4. Full Nelson f. Ready Roc, Runt Dawg & Saukrates 5.